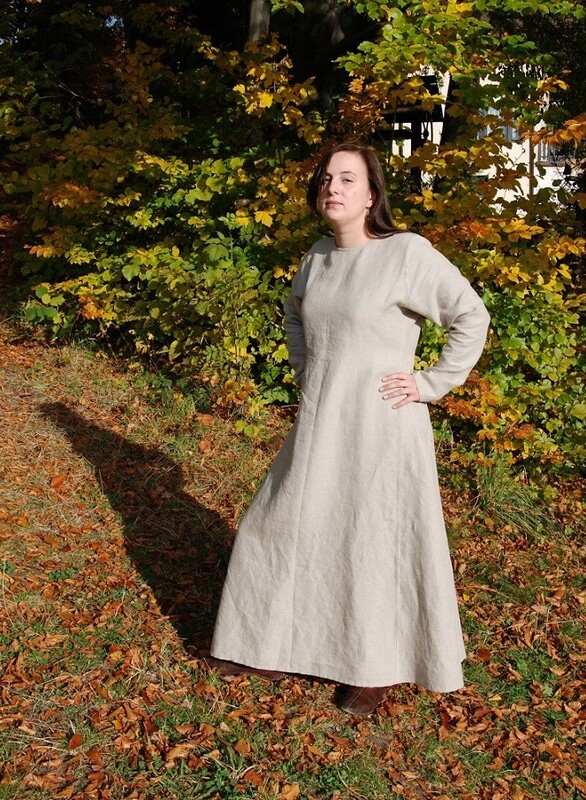 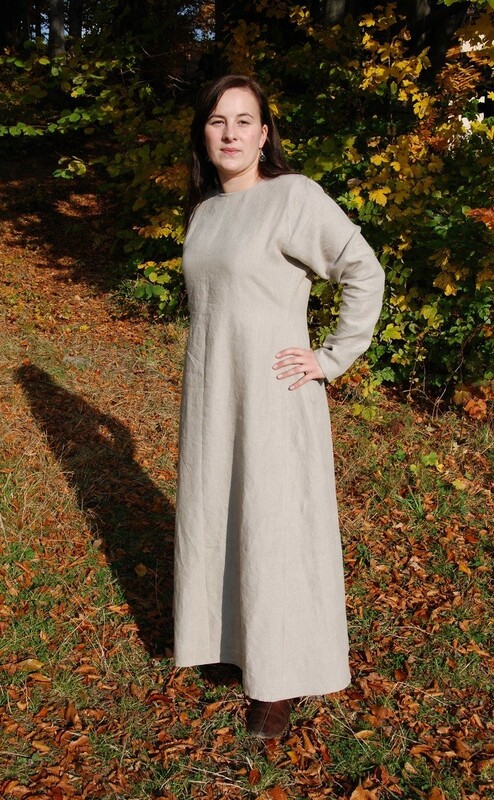 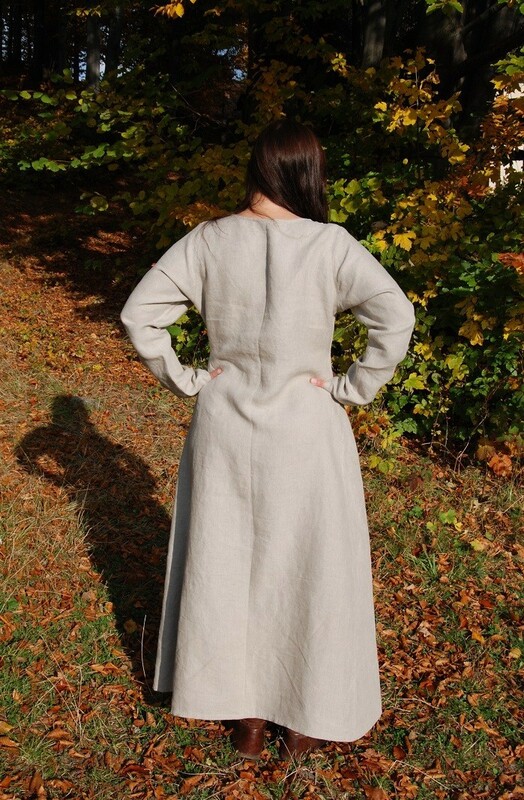 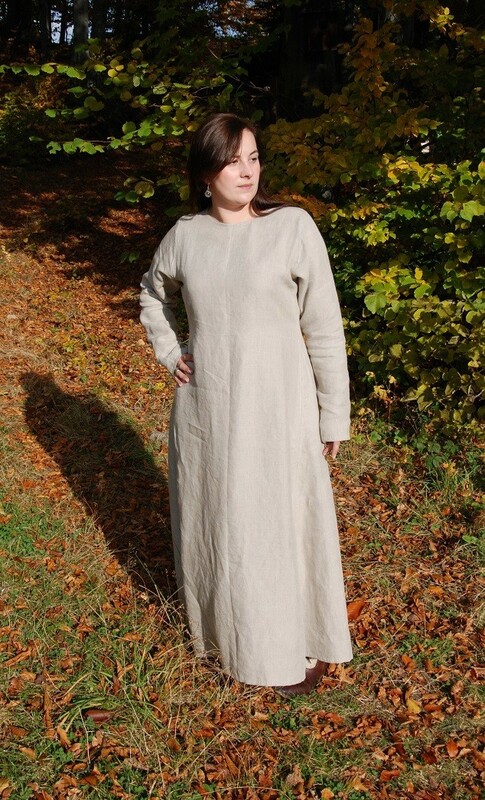 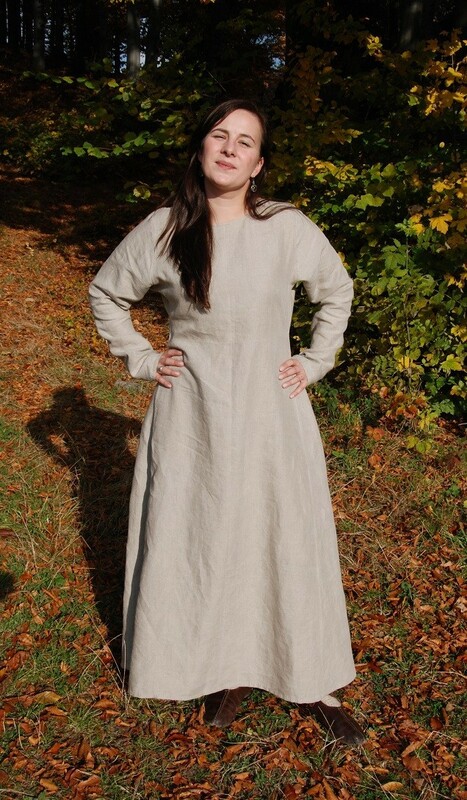 Dress made of 100% natural linen. 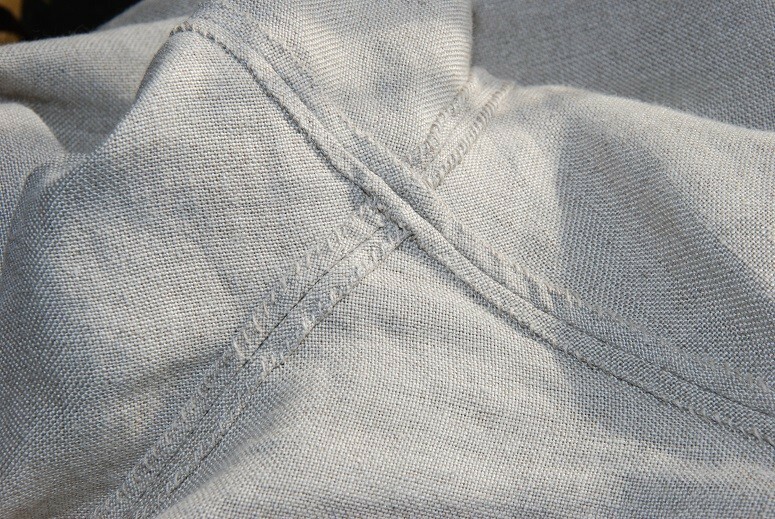 Simple geometric cut based on a T shape, with a light undercut in the armpit. 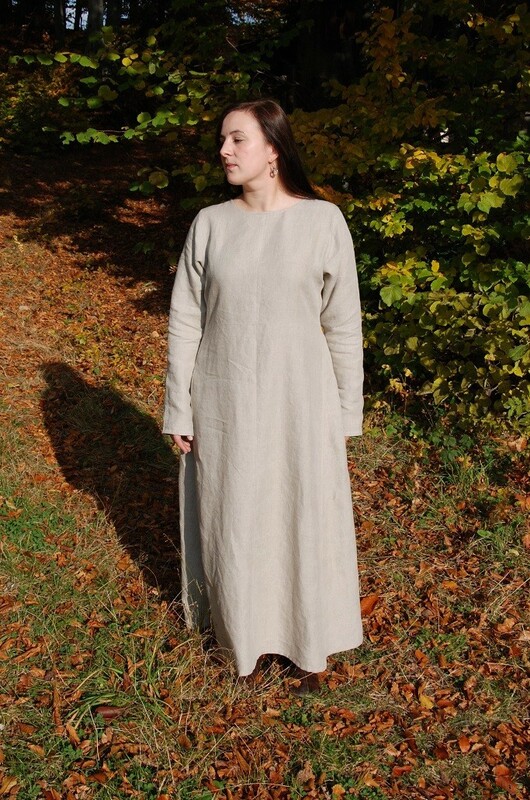 The cut of dress is based on found from Haithabu (Hedeby). 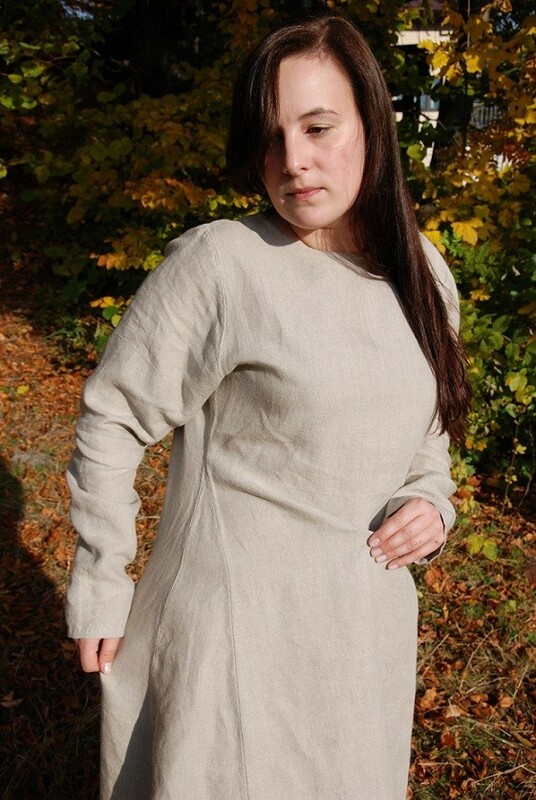 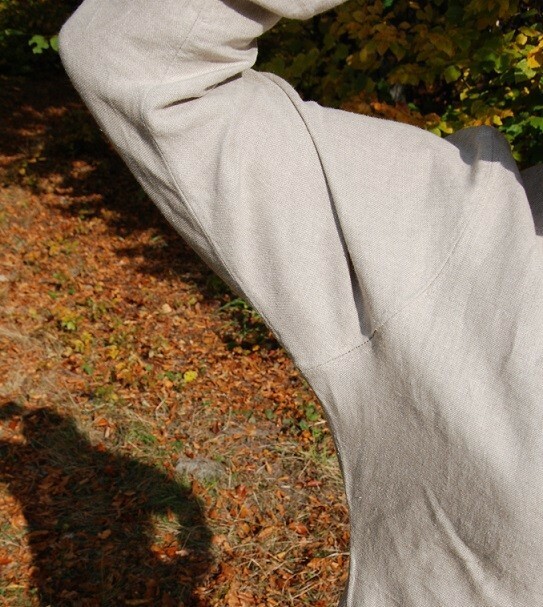 The sleeves narrow towards the wrist. 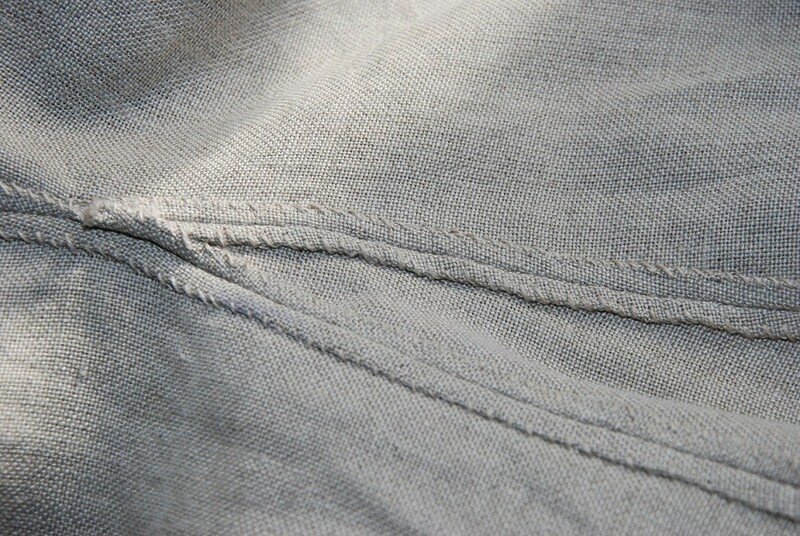 The dress has two wedges; one at each side. 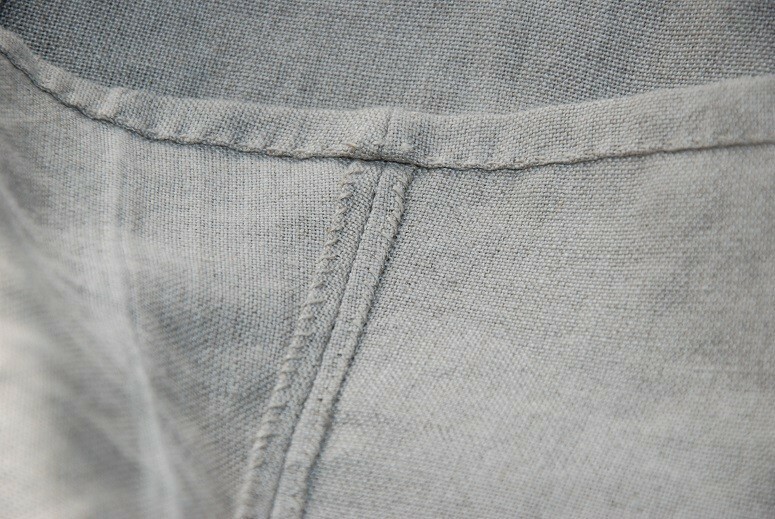 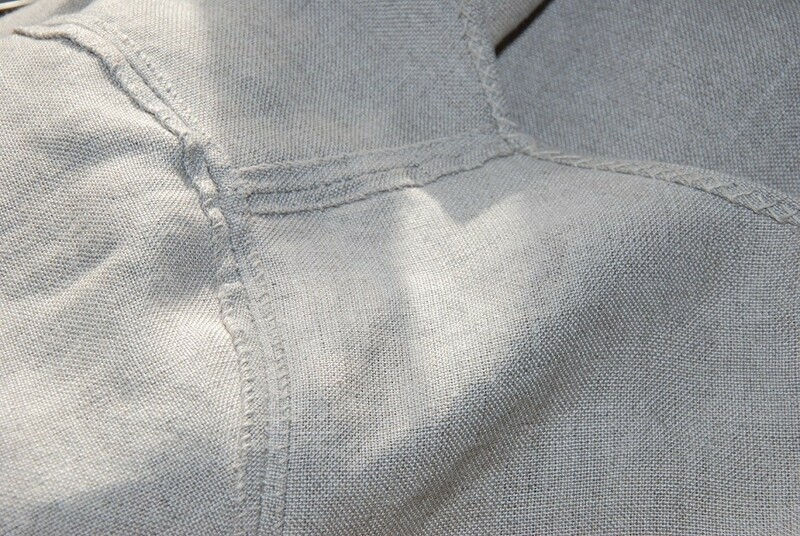 Every stitch is hand made with a linen thread. 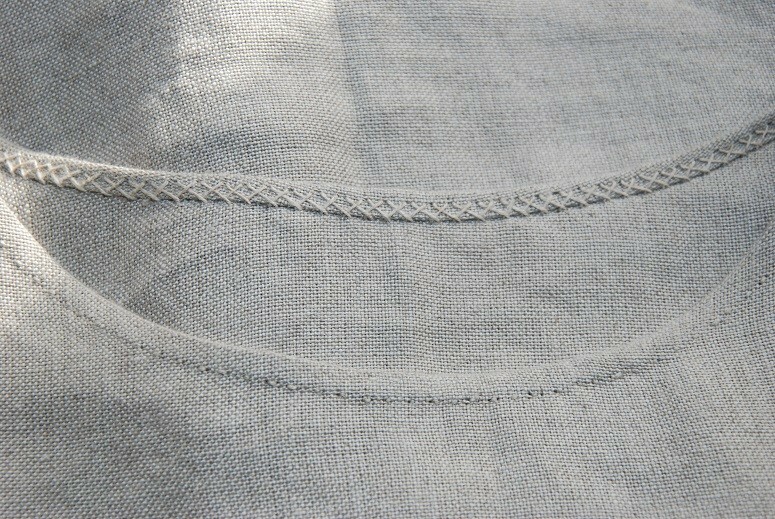 Half circle undercut under the neck. 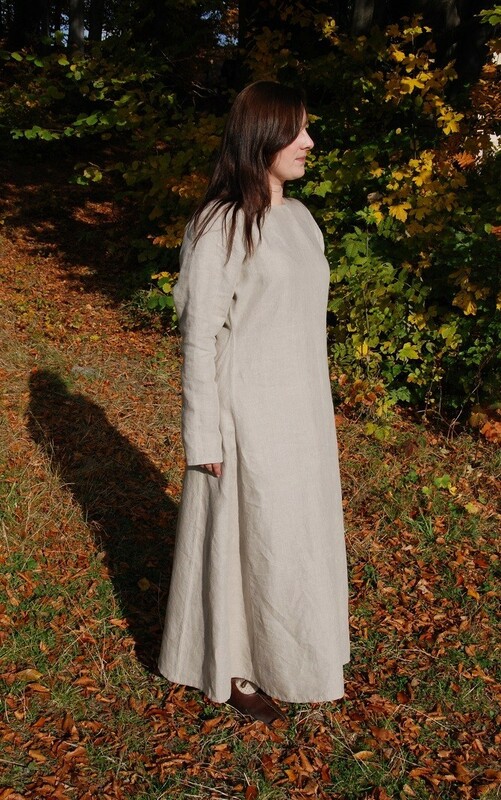 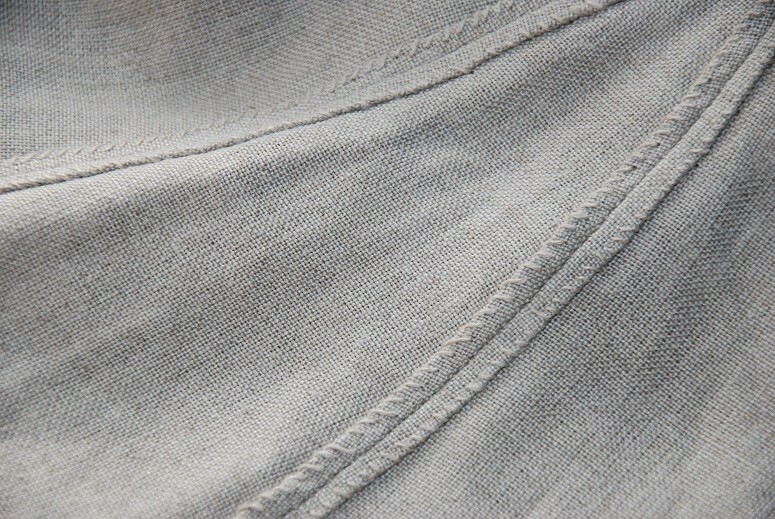 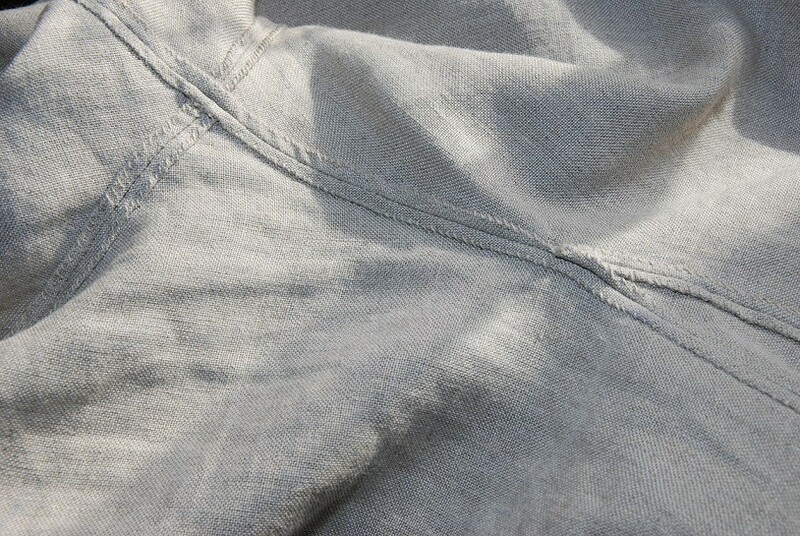 Linen was washed before sewing, it's possible it may shrink about 1-2 cm it's 100% of linen. Size: length of dress 137 cm, width under the armpit 52 cm x 2, width in belt 48 cm x 2, width in hips 62 cm x2, length of sleeves 64 cm, width of sleeves 14 cm, split under neck 7cm. 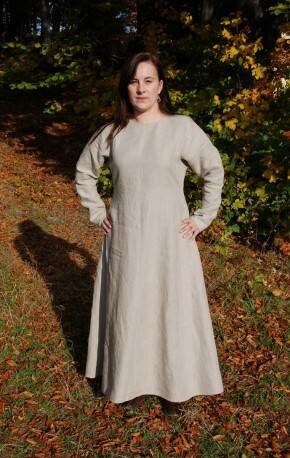 Size of dress is similar for clothes size 40/ 42.